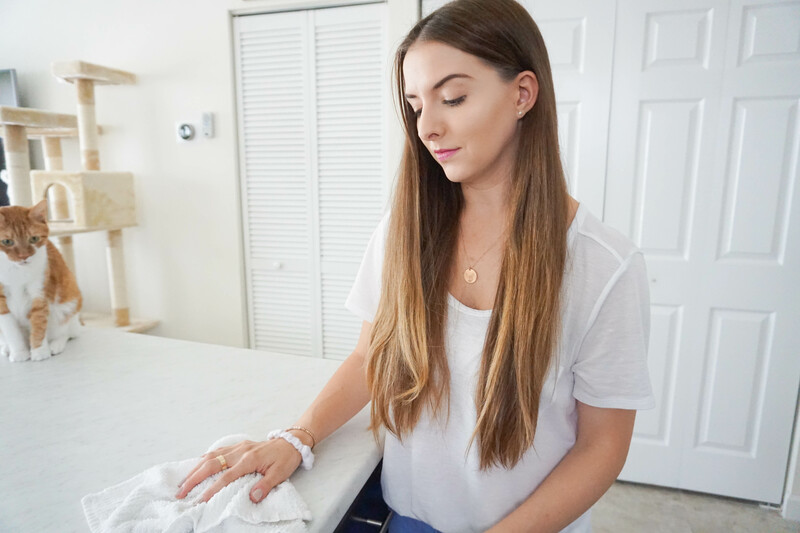 It’s no secret – I kind of hate cleaning my house. Idk, I think some people are born with an innate desire to keep things clean and tidy, but I’m not one of them. Now that I’m a mom though and have a house of my own, I’ve had to at least pretend to somewhat enjoy the act of cleaning. If not enjoy – then at least tolerate – aka, just get it done. Then there’s my weekly cleaning routine, and that’s what I want to focus on today. These are things that I tackle once a week to help keep my house in some kind of order. So if there’s one thing that I absolutely HAVE to do every single week, it’s the laundry. The amount of clothes we go through in this house is pretty insane, so I feel like I’m never truly done washing clothes. 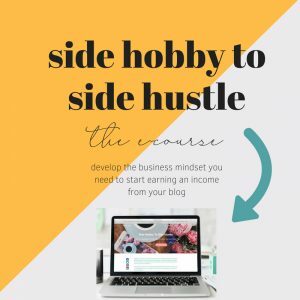 It’s a never-ending cycle of washing, drying, and folding, but if it’s something I have to do anyway, my clothes might as well be squeaky clean and super fresh. 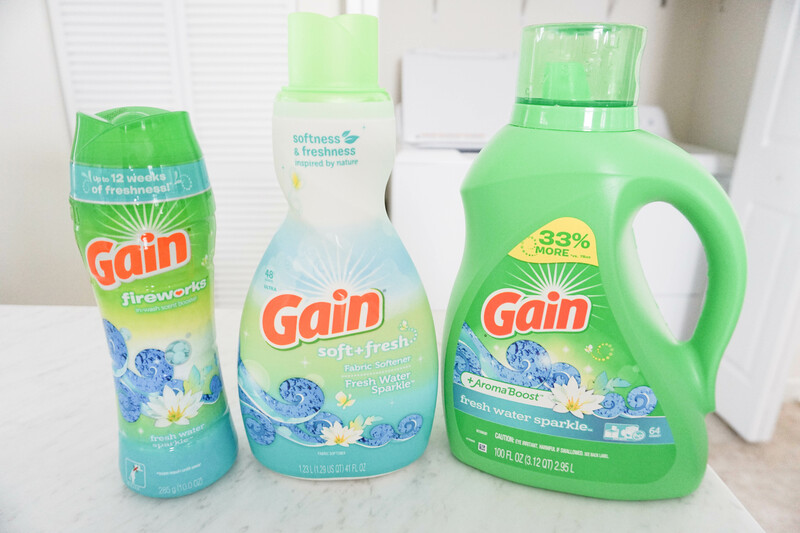 I recently started using these Gain laundry detergent products in their new Fresh Water Sparkle™ Scent (this scent is exclusive to Dollar General, btw) and this stuff smells so so good, guys. So if you’re curious, here’s my entire process when I wash my clothes these days. Step #2 – add Gain Liquid Laundry Detergent. There’s nothing like super clean and fresh smelling clothes and this stuff works wonders. 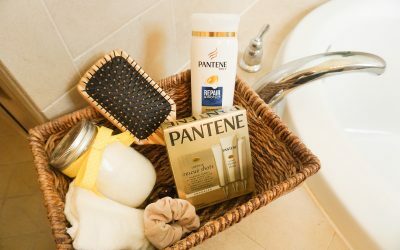 Not only does my clothes turn out clean, but this product leaves behind a refreshing scent that I absolutely love. I’ve used other products in the past that don’t really smell like anything, and I’m not a huge fan of that. I love for my clothes to have a fresh scent to them – that way there’s no mistaking that they’re nice and clean. 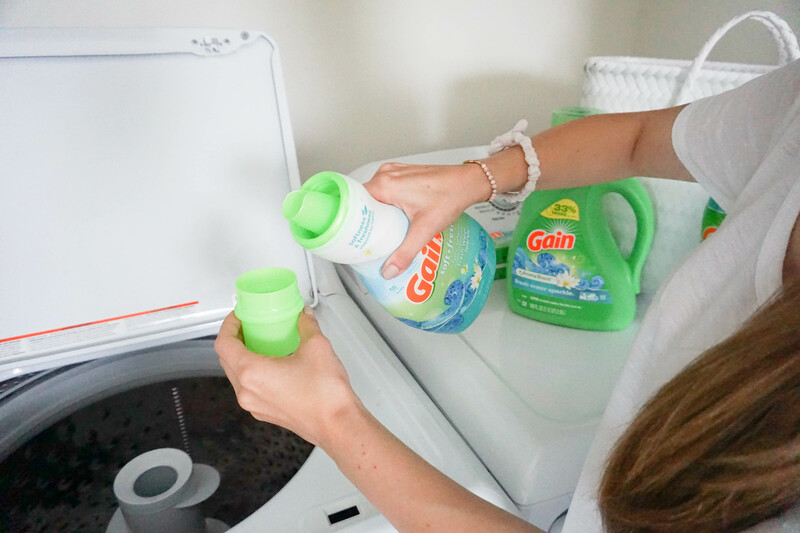 BTW, if you prefer detergent pacs to liquid laundry detergent, be sure to try out the NEW Gain Flings! 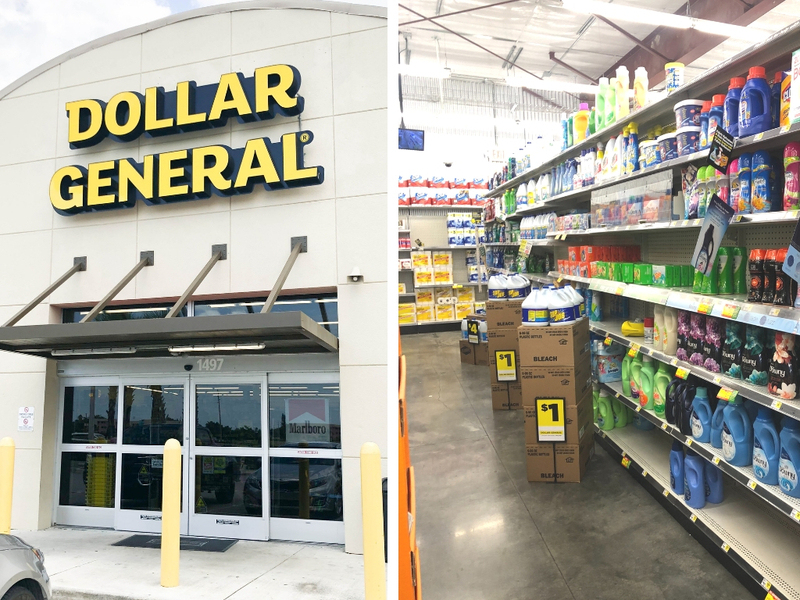 Laundry Detergent Pacs in the Fresh Water Sparkle scent that are also available at Dollar General. 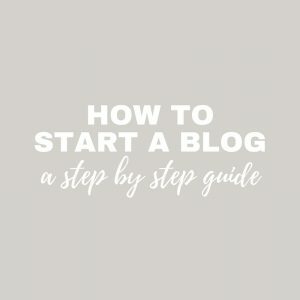 Step #3 – add Gain Liquid Fabric Enhancer/Softener. I never used to use fabric softener, but since it was less than $5, I decided to try it the other day. 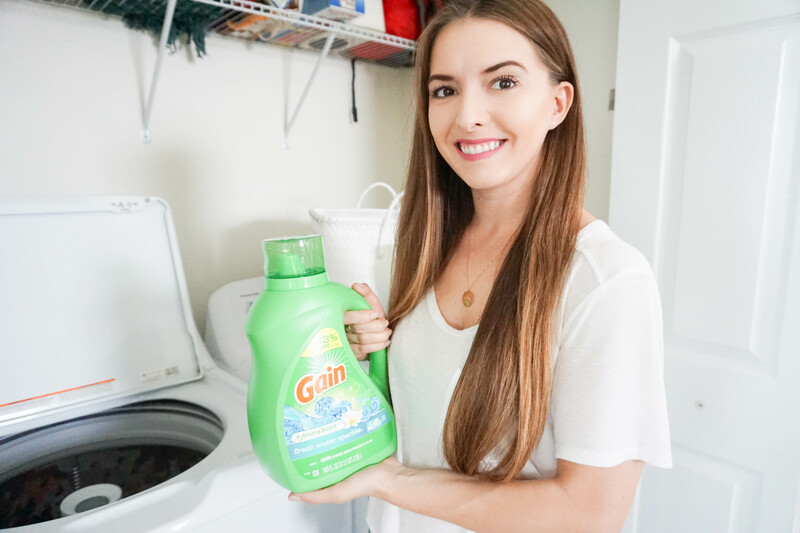 This Gain Liquid Fabric Enhancer/Softener does exactly what it says – it helps make your clothes softer while decreasing static and adding more of that amazing Fresh Water Sparkle™ scent. So far, I’m a fan. Step #4 – add Gain fireworks!™ in-wash scent booster. 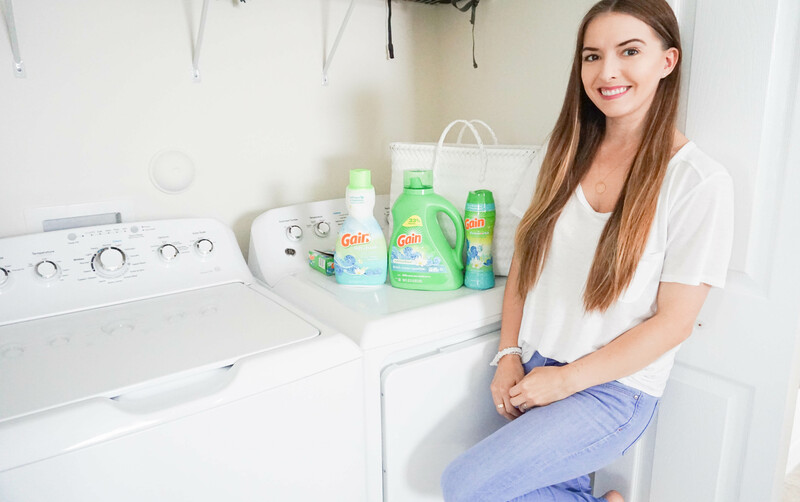 Now honestly, you probably don’t need to use these scent booster beads every single wash, but if you really love the scent of Gain detergent and want to somehow add even more of that great scent, this is what you’ll want to use. 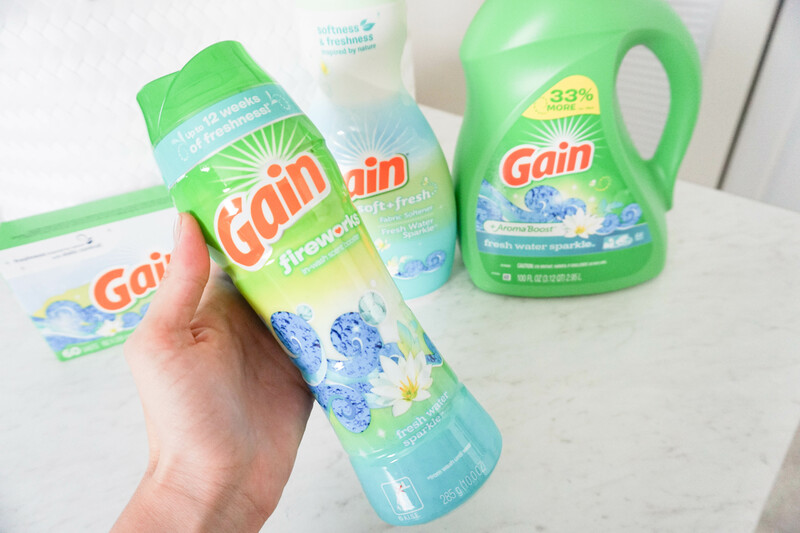 Just shake the Gain fireworks!™ in-wash scent booster directly into your washer (before your clothes – so this would technically be step #1 if you use them) and the scent beads will give your clothes an extra boost of scent. I use these when Joe’s been working out and has a bunch of stinky workout clothes to wash and believe me, it works like a charm. 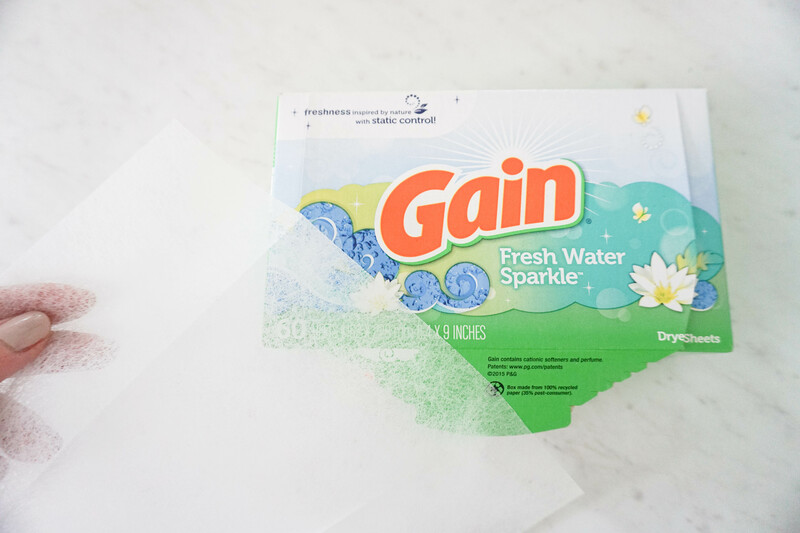 Step #6 – add Gain Dryer Sheets. If you’ve ever taken clothes out of the dryer and had it all stick together due to the static, you know how annoying that can be. These dryer sheets help fight that static, help produce fewer wrinkles, and add more softness to your clothes – again, things that make the laundry process a whole lot easier. Now speaking of laundry, something I try to do once a week is change all the sheets in our home. I usually change out the sheets in our master bedroom and also the crib sheet in Riley’s nursery. This includes all of our pillowcases as well. I don’t know about you, but I don’t really want to sleep on a bed full of dead skin particles, so a good wash once a week is definitely called for. Even though I try to vacuum Riley’s play area every single day, I definitely don’t vacuum my entire house on a daily basis. So once a week, I like to take a few minutes to vacuum all the floors in all the rooms, and it instantly makes me feel like my house is so much cleaner. Now I will say, with a tiny human to take care of, things like this can be a little challenging. So on most days, this is what my vacuuming routine looks like. Baby in one hand. Vacuum in the other. Thankfully I have a super lightweight cordless vacuum because otherwise, I’d be in trouble. But hey, you gotta do what you gotta do. 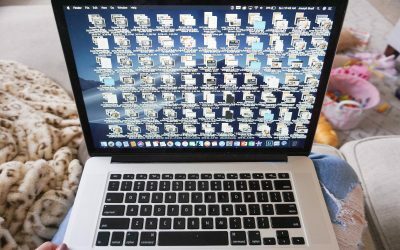 Not my favorite task, for sure, but again, it has to get done. Once a week, I’ll tackle the three bathrooms in my home and as gross as it can be, it’s really not difficult to clean them. I just grab some toilet bowl cleaner, add it to each of them, and then go do something else for about 10 mins. After the product has had some time to soak, I take one of those toilet bowl cleaner wand things and I scrub away. Even though I wipe down my kitchen counter multiple times throughout the day, once a week I like to give my kitchen a little extra TLC. I wipe down the cabinets and the appliances because it’s amazing how dirty they can get after just a few days, and that totally makes me feel better because I spend a lot of time in the part of my house where I can see my kitchen. This is something else that’s so easy to forget. Part of my weekly cleaning routine is cleaning all of the mirrors in my home. It’s funny, Riley’s gotten to that stage where she loves sitting in front of the mirror and making faces at herself, but that usually means that her little hands are all over the mirrors and yea, she leaves tiny handprints all over. It’s also a huge pet peeve of mine when my bathroom mirror is all splattered with water marks, so when I have nice clean mirrors, it makes me so much happier. IDK, it’s just one of those weird things I really like. Right after I vacuum the floors, I like to pass a mop through the main living spaces of my home where I’ve got tile. 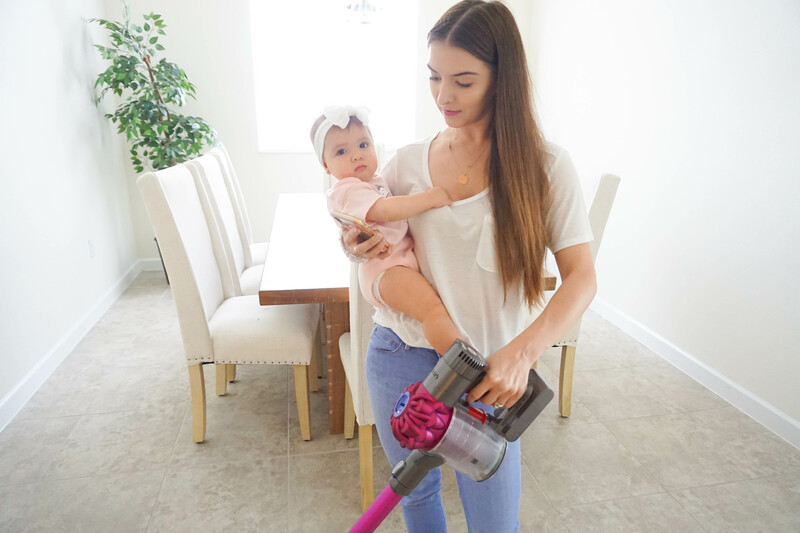 This really ensures that my flors are nice and clean – exactly what I need now that Riley’s crawling around all over the place! So that’s about it. That’s pretty much what my weekly cleaning routine looks like. Just enough cleaning to keep me sane so I have all the time in the world to hang out with my little babe! How about you guys? What do you guys tackle in your home on a weekly basis? I’d love to know! 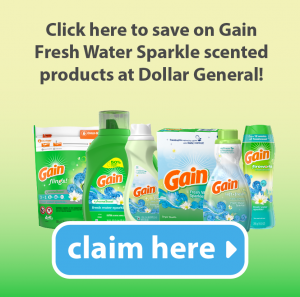 Remember: you can find Gain Fresh Water Sparkle scented products at your nearest Dollar General! 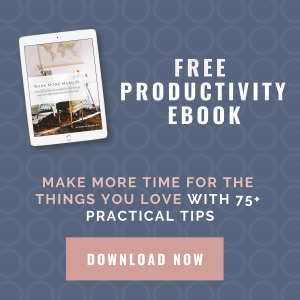 I’m an intuitive cleaner – I don’t make plans. I just clean as I see things need doing. Kind of wished my housemate was wired that way too, but oh well. Quick question: Does your hubby has a daily cleaning routine too or is this just something you – as the woman and wife – agonize over? Yea, sometimes I just clean as I go too, depending on the state of my house! If things are a real mess, we clean right there on the spot. And yea, I’m super lucky. My husband helps me SO SO MUCH when it comes to cleaning our house. 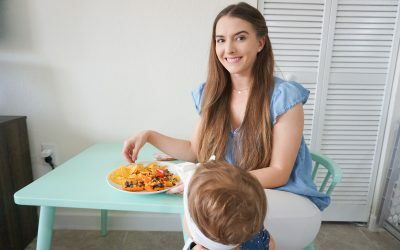 Since I’m home more often than he is, I try to do things like the laundry and the other things I mentioned in this post as often as I can, but he really does the bulk of the work. For example, we have a cat and my husband vacuums the cat’s area, takes care of the litter box, and my hubby also washes and puts away dishes almost every day. He’s the best!